What has a unique swimming style, eats up to 147 jellyfish a day and can be found in Irish waters all year round? 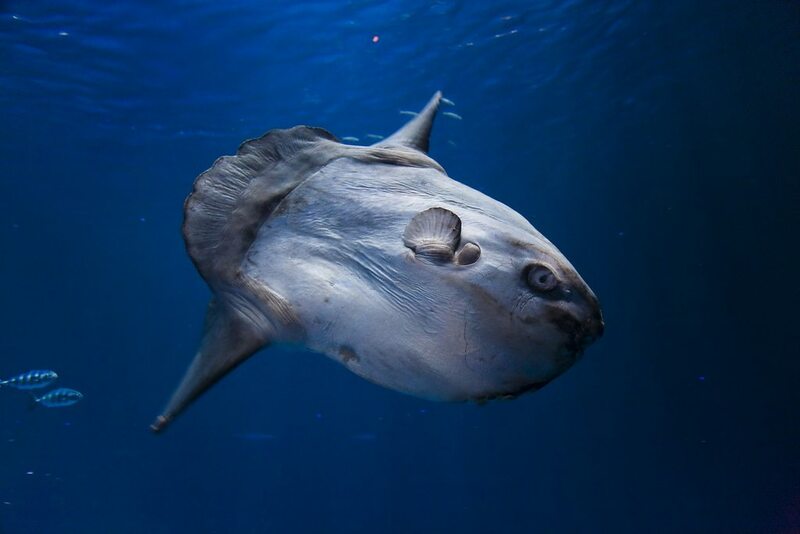 Ocean sunfish were previously believed to be a rare visitor to the seas around Ireland but an international study has now recorded 12,700 of them off the coast during the summer months and more than 8,200 in winter. The voracious appetite of the sunfish shoal for jellyfish of all types, including the likes of the Portuguese men o’ war, sees it consume 2,600 tonnes daily. They are the world’s largest bony fish and can grow from a tiny larva to a length of three metres, can weigh up to a tonne, and swim just below the sea surface – like basking sharks. However, the sunfish has one dorsal fin, while the basking shark has two.The sunfish has a preference for sidestroke, repeatedly lifting the dorsal fin in and out of the water in a “sculling” technique. Their role in warding off jellyfish makes them very important contributors to the health of the coastal environment, according to research published in Nature Scientific Reports. Scientists from University College Cork’s school of biological, earth and environmental science and the MaREI Centre for Marine and Renewable Energy conducted the research with colleagues in Spain and the Netherlands. Their ObSERVE Aerial project involved a year surveying Ireland’s offshore waters, flying more than 17,000km and extending 300km from the coast. Lead author Dr Patricia Breen said it was “the first time we have had any comprehensive offshore survey effort in good weather during the winter months”. Co-author and marine ecologist Dr Mark Jessopp said the findings make the sunfish” an incredibly important part of the marine ecosystem” with a “largely unrecognised” role till now in controlling large jellyfish blooms. “The lowest recorded sea surface temperature in our study was 8°C, which is below the previously known threshold for sunfish,” Dr Breen added.They were found at higher latitudes than anticipated. Ocean sunfish are accidental, but frequent, bycatch in fisheries. The authors say efforts should be made to conserve them through reducing bycatch. The project partners with UCC were Alnilam Research and Conservation in Spain, and the Institute for Marine Resources and Ecosystem Studies in the Netherlands. It was funded by the Department of Communications, Climate Action and Environment with the Department of Arts, Heritage, Regional, Rural and Gaeltacht Affairs.